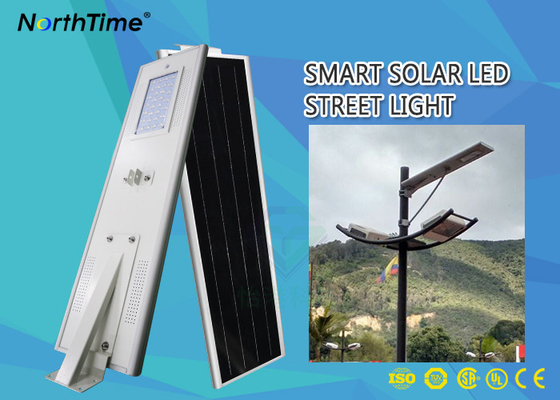 All in one ( integrated ) solar street light which integrates the green-energy parts solar panel, LED lamp and the lithium battery into a single product, its human intelligence induction system ensures the solar light system low energy consumption, long working time, high luminance, maintenance free and long lifespan. It is also very simple and easy to transport and install. Widely installed in the garden,residential area, courtyard, main area, parking area or provide the light in roads where it's necessary, the battery provide the energy for illumination, the solar panel charge for the battery. 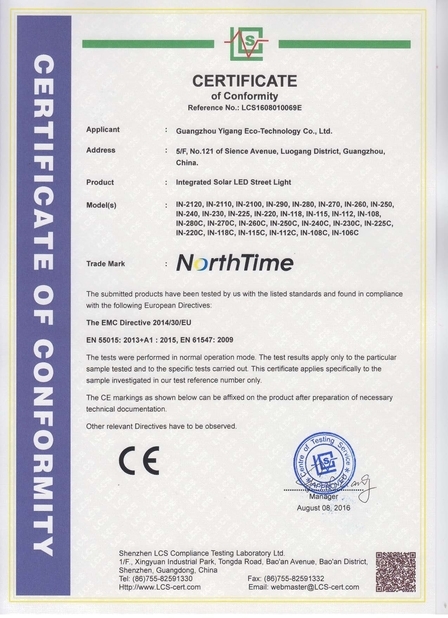 The product is made up with integrated parts(solar panel,lithium battery ,LED, controller and PIR sensor) and the light pole. 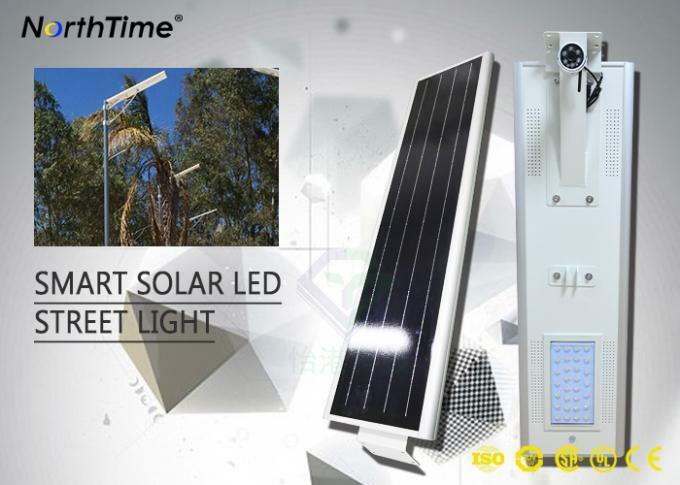 Working charactres, The solar panel converts sunlight into electricity and stored in lithium battrey via controller, the LED light will work in night automatically by light sensor control, and provide lighe for the darkness area, the human intelligence induction system can save the energy when the lighting is not necessary. High capacity reliable performance Lithium Battery (LiFePO4) and smart battery charge-discharge management technology are suitable for high power applications and guarantee the long lifespan of battery at least 5 years, the battery can be rechargeable for more than 1500 times, the discharge efficiency up to 95%, more higher than the normal lead acid battery or Gel battery. 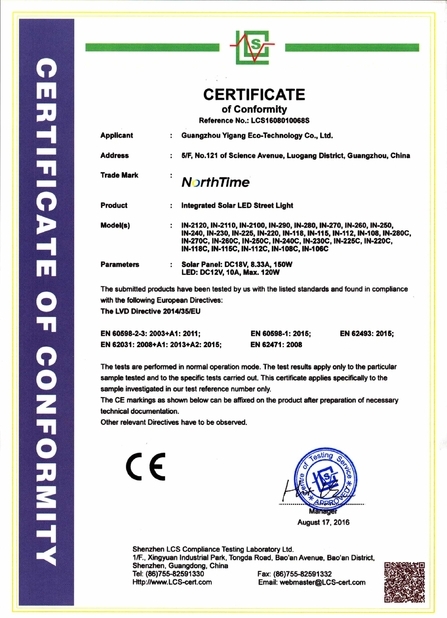 Our factory makes time sensor and motion control mode for option. Human sensor means light full on when human body come nearly, and keep 20% light when human far away. Time control means full light on during the previous half night, and keep 20% light on during last half night. We can also set your own program, such as 3 hrs continually full light on, then full light on after 3 hrs interval, etc. Work mode Customized available Light on at dusk, light off at dawn auto. PIR motion sensor detection. Full power lighting when a human move in the sensors range. 30% power lighting when a human move out. 8. It can work continuously in 3-4 rainy days. 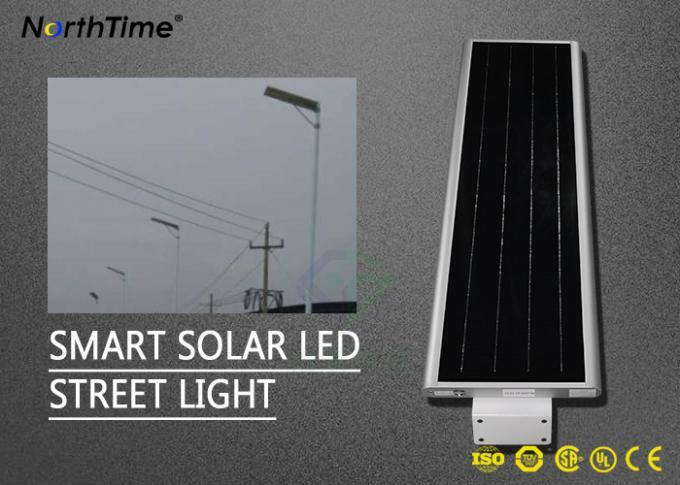 All-in-one solar street lights are excellent to provide energy saving and long-lasting illuminations for any outdoor areas, such as school roads, pathways, walkways, village paths, secondary ways, motorways, mine areas, residential areas, courtyards, gardens, parks, gardens, parking lots, streets, gas station and rural areas etc.